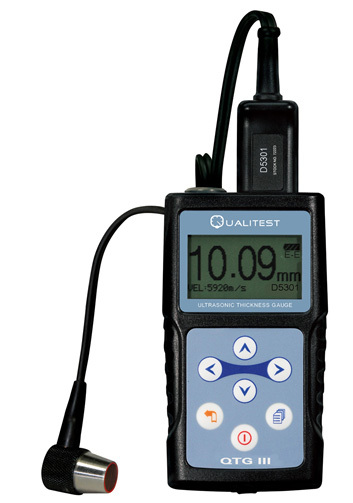 The QTG IV digital Ultrasonic Thickness Tester is a menu-driven, fully functional unit offering everything from the basic measurement to extended memory (10000 readings storage) and USB output capabilities. This dynamic gauge is designed to measure the thickness of metallic and non-metallic materials such as steel, aluminum, titanium, plastics, ceramics, glass and any other good ultrasonic wave conductor as long as it has parallel top and bottom surfaces. 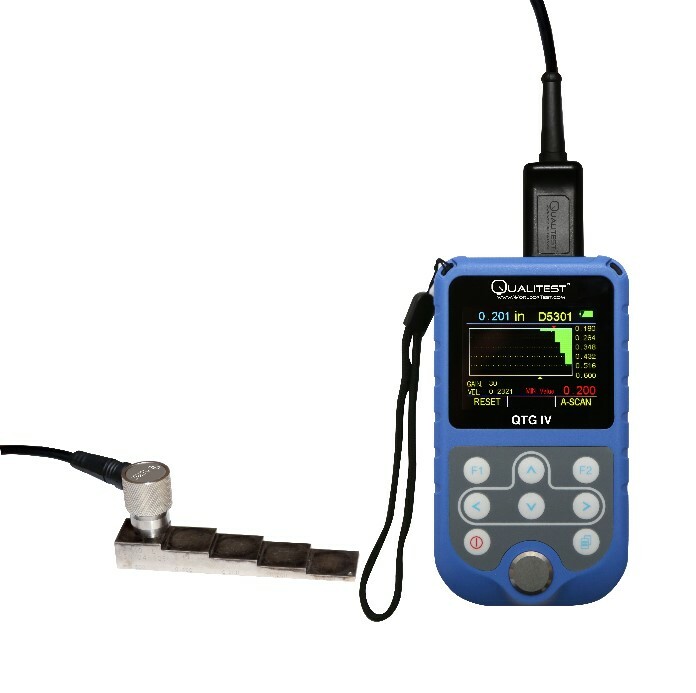 The QTG IV is a quite versatile model which can be easily equipped with any of the low & high frequency probes as well as a high temperature probe. Pocket Size, easy to operate. Measurement mode T-E -Standard measurement: For Normal thickness measurement. 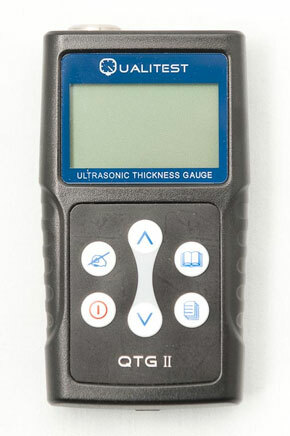 Ultrasonic Thickness Gauge - QTG Series are economical, user-friendly, menu driven, and multi-functional units offering extensive features from basic measurements (model: QTG I) to extended memory (5000 reading storage) and USB output capabilities (model QTG II). The instrument can measure with very high resolution (0.01 mm or 0.001 inches) the thickness of metallic and non-metallic materials such as steel, aluminum, titanium, plastics, ceramics, glass and any other good ultrasonic wave conductor. 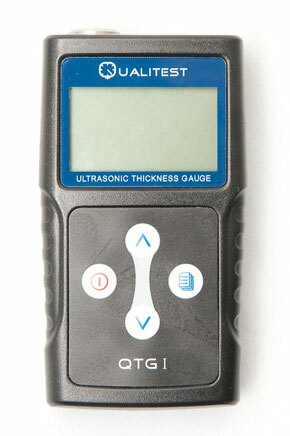 The Ultrasonic Thickness Gauge - QTG Series accurately displays readings in either inches or millimeters and is equipped with special features like Automatic recognition of probes with different frequencies and Automatic zeroing of the unit.